Stuttgart. 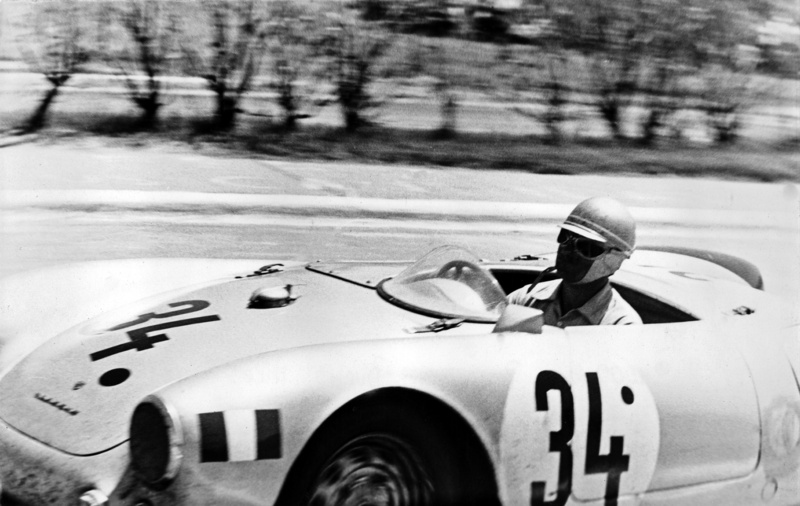 The Dr. Ing h.c. F. Porsche AG is mourning the death of former factory racer on 28 Died September 2011 Jaroslav “Jerry” Juhan at the age of 89. In the fifties, he was instrumental in making the Porsche brand known in the South American continent. Juhan (far right) with teammates Herbert Linge, Herrmann and Porsche motorsport boss Huschke von Hanstein. Former Porsche factory driver Jaroslav Juhan has died. 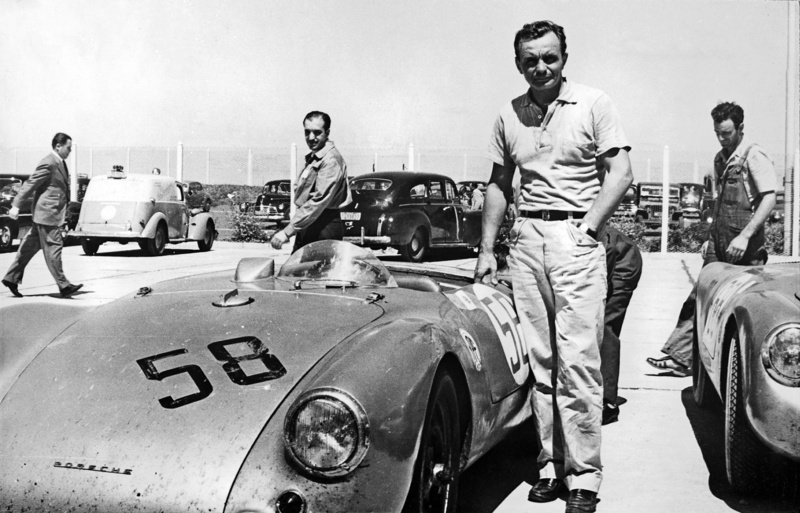 Juhan, born in Prague in 1921, started his career as an importer of Italian cars and buses.He left his homeland in 1951 for the Republic of Guatemala, where he became the official importer of Porsche sports cars – and to publicize his business, he raced the vehicles he was selling. Juhan won the Guatemalan 1953 Carrera de Pacifico in a 356 1500 Super. 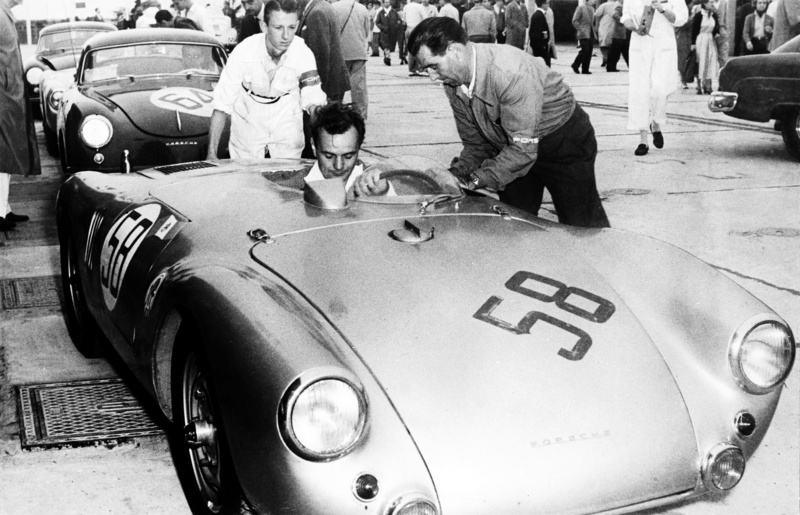 In a 550 Spyder, he led the 1.6-litre class of the Carrera Panamericana in Mexico later that year, though he had to retire on the seventh section due to a technical defect. Nonetheless, his performance was good enough to win him a works drive the following year: dueling with Hans Herrmann, then regarded as Porsche’s top driver, he finished just seconds behind to take second place in their class and fourth place overall behind two of the far more powerful Ferraris. 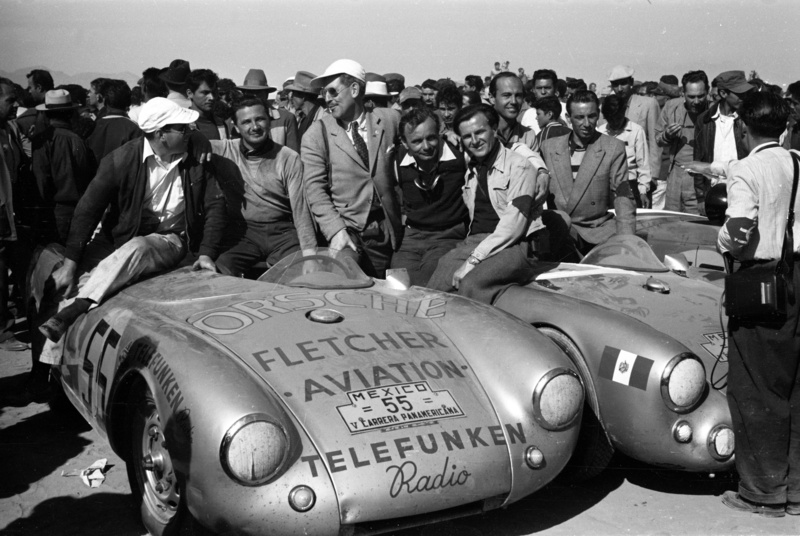 The second picture above shows Juhan (far right) with teammates Herbert Linge, Herrmann and Porsche motorsport boss Huschke von Hanstein. 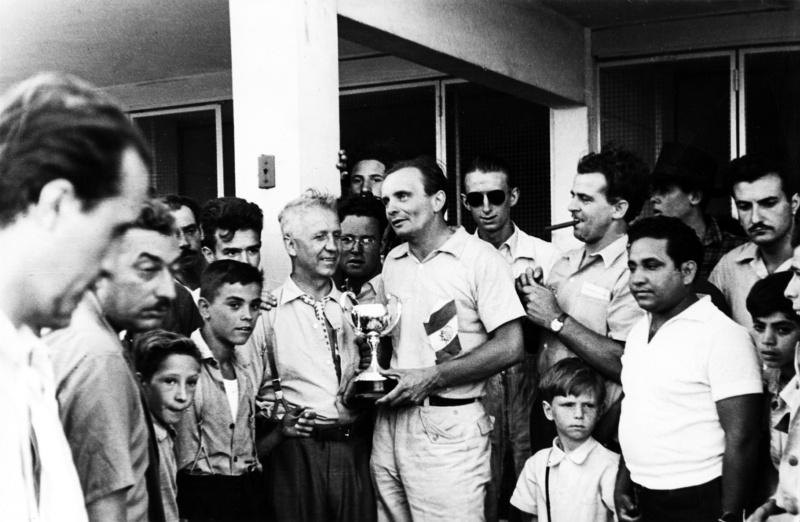 Later in 1954, Juhan won the 1000km race from Buenos Aires, taking fourth place overall in 1955, he scored a sixth place at Le Mans with teammate Helm Glöckler, and a fourth place in class in Buenos Aires (bottom picture). However, he always regarded himself as an amateur. Juhan left Guatemala in 1961 due to its unstable political situation and settled in Switzerland, where he drove a Porsche 928 S4 on-road well into his old age. I am the only person who can talk about Jerry Juhan, as I just happen to be his WIFE (EHEFRAU). …of course Ehefrau, so sorry for our loss. He was a great man. Many Porsche people admired him. We invite you to share information on the Pan-American race and make new friends who share your passion. You can send the information to this email.